At Innate Chiropractic Healing Arts Center, it is our mission to provide the best chiropractic care that is a result of testing, not guessing. For this reason, we utilize some of the most advanced technology available to measure the function of the nervous system —the INSiGHT Subluxation Station. This technology helps us to thoroughly evaluate the nervous system and gives a snapshot computerized image of how much stress the nervous system is under. We live our entire lives through our nervous system. With COREscore, we can now accurately report on the efficiency of your central nervous system. Ignoring the warning signs of chronic tension puts your health at risk. The COREscore is made up of three most important spinal-neural tests: Pulse Wave Profiler (HRV), Surface EMG and Thermal Scan, which tell us how stress (physical, emotional or biochemical) is impacting your overall well-being. It precisely detects where and how deeply the problem is changing your spine and your health. CORESCORE merges the data from the EMG, thermal and HRV scans that Dr. Jackie will take into one simple, comprehensible report. Based on your COREscore, she will help develop a highly personalized care plan with a goal of moving toward a score of 100 — near perfect spinal nerve function. The Pulse Wave Profiler helps Dr. Jackie to determine your overall ability to adapt to the environment. It does this by looking at the timing of your pulse and determining the balance and tension within your nervous system. This exam is known as Heart Rate Variability. A score within the green box on the graph is associated with better adaptability and relates to a healthy lifestyle. Low Heart Rate Variability is related to accelerated aging and poor heart health. 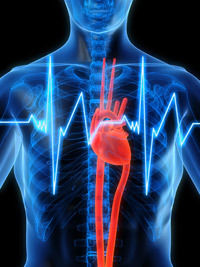 Published research has shown that chiropractic adjustments have a beneficial effect on Heart Rate Variability. The Surface EMG exam evaluates the function of the muscles that support and move your spine. These muscles are controlled by the nerves running within it. This test measures how much energy is needed to maintain your posture and how it is distributed throughout the muscles. If too much energy is used when a spine is out of balance, this test score will be lower than normal. By precisely measuring muscle activity, your progress can be followed as your spine releases tension, and you regain more control. The Thermal Scan is used to assess the part of your nervous system that helps control your organs, glands and blood vessels. The automatic nervous system works alongside the spinal nerves to regulate your immunity while managing your internal organ functions. The instrument does this by precisely measuring differences in temperature along the spine. Temperature is an accurate indicator as to where stress is building up and how deeply it affects bodily functions. 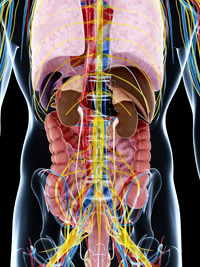 Each organ system relies on clear and balanced nerve signals to work efficiently. Nerve interference that is detected by this sensor is available in understanding and planning health and wellness strategies. If you would like to find out more about the INSiGHT Subluxation Station and COREscore, contact us today to book an appointment.